If you have been trying to lose weight, chances are you are not only helping yourself but also others around you. This is called “weight loss ripple effect”, according to a new study from the University of Connecticut. The study tracked the weight loss progress of 130 couples over 6 months. Researchers found that when one person of a couple tries to lose weight, the other partner could lose some weight, too. The effect was true even if the partner was not actively in a weight loss program. In the study, the couples were divided into two groups. In one group, one member of the couple was enrolled in a structured six-month weight loss program (Weight Watchers), which provided in-person counseling and online tools to assist with weight loss. In the second group, one member of the couple received a four-page handout with information on healthy eating, exercise, and weight control strategies (e.g. 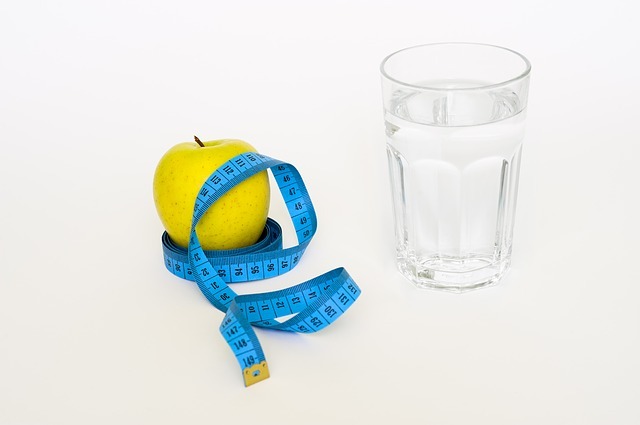 choosing a low-fat, low-calorie diet, portion control). It is important that “couple” in the study means cohabitating participants regardless of marital status. The team recorded the participants’ weight and examined couples’ weight loss trajectories over time. They found that the partners of both those who tried losing weight on their own (the pamphlet recipients) and those who participated in the structured program (the Weight Watchers group) also lost some weight at three and six months. About one-third of the untreated partners lost 3% or more of their initial body weight after six months despite not participating in any active intervention. A three percent loss of body weight is considered a measurable health benefit. The researchers suggest that the rate at which couples lose weight is interlinked. In other words, if one member lost weight at a steady pace, their partner did too. Likewise, if one person struggled to lose weight, their partner also struggled. This is because we change our eating and exercise habits can affect others in both positive and negative ways. On the positive side, spouses might emulate their partner’s behaviors and join them in counting calories, weighing themselves more often, and eating lower-fat foods. In the future, the researchers will focus on whether a weight loss ripple effect might extend to other family members who share a household and not just couples. The study is published in the peer-reviewed medical journal Obesity.